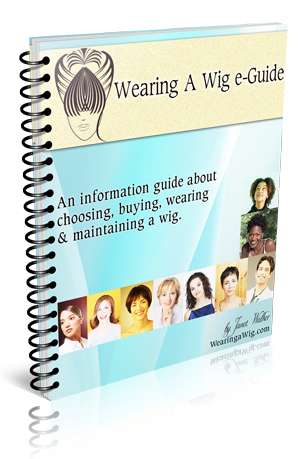 Need help in choosing, buying, wearing or maintaining a wig, then this Wearing a Wig e-Guide is for you. Click here to read more.. I've grown up around wigs, seen wigs due to medical reasons & owned a hair and beauty store, where wigs were my main products. WearingaWig.com is here to help, support, educate & create a community that brings together those who wear wigs. Plus be the home to help you in choosing, buying & wearing your wigs. Wearingawig.com © 2014. All Rights Reserved.